Cleaning services are a popular low-cost franchise opportunity. One of the advantages of starting a cleaning franchise is that some of the available franchises can be run and managed from a home office. We spoke with FranchiseGrade.com and received data on the 10 top performing cleaning franchise opportunities. If you’re ready to move forward with a cleaning franchise, but want help identifying the best opportunity for you, contact The Franchise Advisor. They’ve been helping investors identify the best franchise opportunities for over 27 years. They can help match you with the right franchise, parse through funding options, and even provide business coaching. Schedule a free consultation. Maid Simple is a residential cleaning franchise under Maid Brigade Inc. They offer traditional cleaning services, which include dusting, mopping, vacuuming, and tidying. They also offer special cleaning services like spring and fall cleaning projects, interior oven/refrigerator cleaning, silver polishing, fireplace cleaning, and moving in/out services. Maid Simple has been in business since 1982 and started franchising in 2011. The franchisor assists their franchisees with everything from booking appointments to handling the billing. A total upfront initial investment range of $10,595 to $10,595 is needed if you want to become a franchisee. Their ongoing fees include a royalty fee of 19% and the contract agreement length is 10 years. You’ve Got Maids offers house cleaning services ranging from deep cleaning to everyday cleaning. Their services include one-time, weekly, or bi-weekly cleaning, moving in/moving out, spring cleaning, and green cleaning. They provide their franchisees with a tested system to attract and retain clients. As a franchisee, you will be in charged with leading your maid team. You’ve Got Maids has currently a total of 51 franchises nationwide. If you want to become a franchisee, you’ll need an upfront investment between $36,394 and $107,037. Their ongoing fees include a royalty fee of 5.8% and an advertising fee of 2%. Their contract length is 10 years. This franchise may be managed from your home office. Sears Maid Services offer cleaning services such as house and apartment cleaning, housekeeping, commercial cleaning, and post construction cleaning. They pride themselves in partnering with professional associates that are trained, background-checked, bonded, and insured, who can provide professional cleaning for homes and offices. They provide their franchisees with support that includes virtually every aspect of sales development, cost control, record keeping, computerized systems, and operational management. They have been in business since 1992 and started franchising in 2014. An initial upfront investment of $52,900 to $134,800 is required if you want to start a Sears Maid Services franchise. There are currently 23 franchise locations. Their ongoing fees include a royalty fee of 6% and an advertising fee of 2%. Their contract agreement term is 10 years. 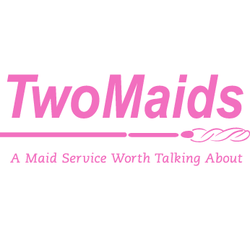 Two Maids & a Mop provides residential cleaning services. According to them, their competitive advantage is that they have developed unique compensation plan. The Pay for Performance Plan allows the customer’s rating to determine the compensation level paid to a team of two employees that are responsible for cleaning the home. 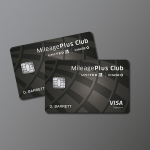 This helps ensure that the employees provide the best service to customers. Two Maids & a Mop requires a total initial upfront investment range of $56,000 to $136,950. The ongoing fees include a royalty fee of 6% and an advertising fee of 2%. There are currently 28 franchise units nationwide. The initial contract agreement length is 10 years. They have been in business since 2003 and started franchising in 2013. 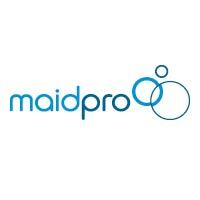 MaidPro provides home cleaning services and prides itself on its state-of-the-art software, established brand-identity, and a proven business strategy that offers franchisees with low startup costs, manageable hours, and 24/7 support. In terms of franchise units, they have been continuously growing for the past 10 years. There are currently over 200 franchise locations. MaidPro was founded in 1991 and started franchising in 1997. A total upfront investment of $41,960 to $203,770 is needed to become a MaidPro franchisee. Their ongoing fees include a royalty fee of 6.5% and an advertising fee of 2%. The initial contract agreement length is 10 years. If the franchisee is in good standing, the franchisee can add consecutive renewal terms of 5 years. The Cleaning Authority offers residential cleaning services because they believe that home cleaning is a service that cannot be replaced by technology. 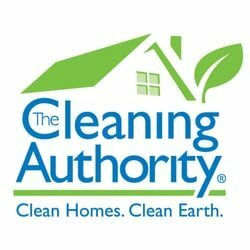 The Cleaning Authority prides itself for being environmentally friendly as they use products, vacuums, and methods that have all been endorsed by Green Seal. They also provide their customers with a quality service that has a high level of professionalism. The Cleaning Authority was founded in 1978 and started franchising in 1996. They currently have over 200 franchise units. You need a total upfront investment between $71,230 to $153,171 to start a Cleaning Authority franchise. Their ongoing fees include a royalty fee of 6% and an advertising fee of 1%. The initial contract term is 15 years, while the renewal term is 10 years. Maid Brigade provides home cleaning services that include regular home cleaning, deep cleaning, housekeeping, and green cleaning. Their cleaning professionals use HEPA-filtered, 4-stage filtration vacuums to remove 99.9% of air particulates for premium indoor air quality. They use Green Seal certified cleaning solutions. Their equipment is color-coded and micro-fiber, so they don’t cross-contaminate from room to room. 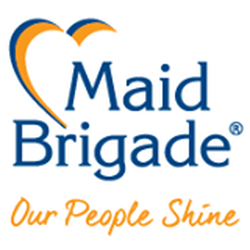 Maid Brigade prides themselves to employ teams of cleaning experts that are thoroughly screened and extensively trained. They have been in business since 1982 and started franchising in 1984. You need an upfront initial investment between $85,000 to $124,000 to become a franchisee. Their contract term is 15 years, with ongoing fees such as 6.9% royalty fee and 2% advertising fee. Merry Maids provides customized residential cleaning services which a focus on bathrooms, kitchen, bedrooms, and living/family rooms, as directed by the homeowners. They also provide specialty cleaning services such as cleaning heavily stained appliances, wall washing, and cabinet cleaning. Merry Maids franchise typically offers two-person cleaning teams that clean up to four homes a day. 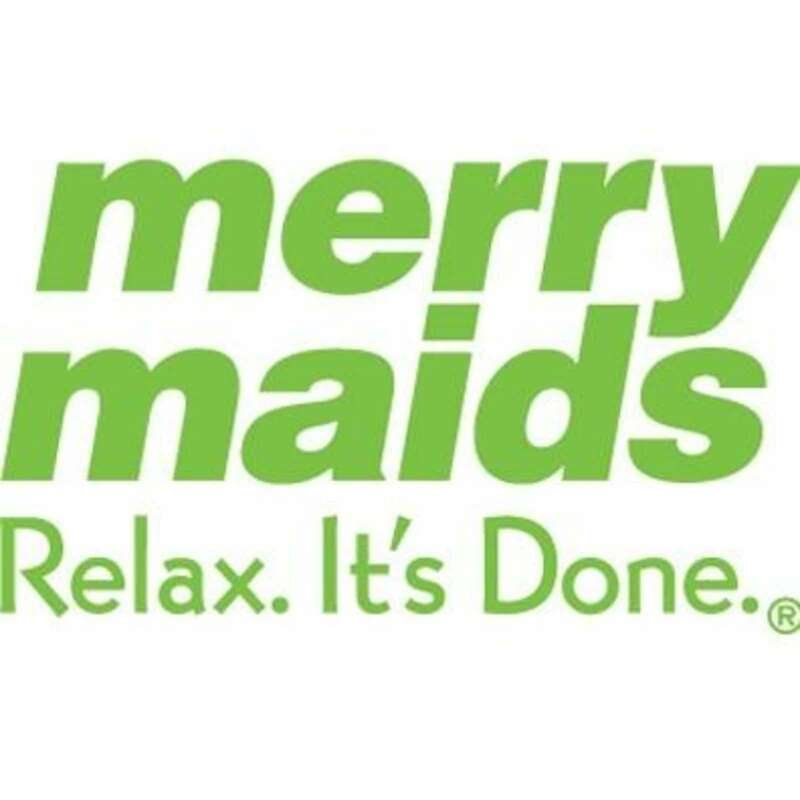 Merry Maids was founded in 1979 and started franchising in 1980. They currently have more than 980 franchise units. If you want to become a franchisee, you need an initial upfront investment between $86,750 to $123,750. Their ongoing fees include royalty fee of 7% and an advertising fee of 1.3%. Their contract agreement term is 5 years. Molly Maid offers premium home cleaning services, using a professional cleaning approach that allows a customized cleaning based on the priorities and preferences of the homeowners. Aside from the regular home cleaning services, they also offer other services such as special event cleaning, green cleaning, moving out cleaning, and housekeeping services. 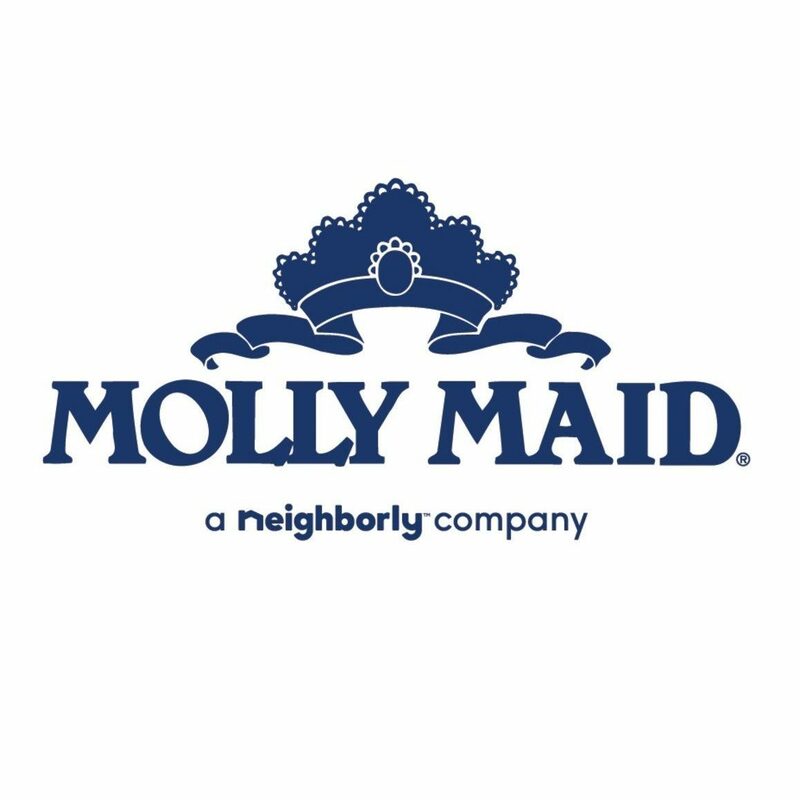 Molly Maid was founded in 1979 and started franchising in the same year. There are currently over 460 franchise locations. They require an initial upfront investment ranging from $89,200 to $137,200. There are ongoing fees such as royalty fee of 6.5% and an advertising fee of 2%. The contract agreement length is 10 years. Maid Right provides one-time and recurring residential clearing services. They also offer specialty cleaning services that include move-in/move-out cleaning, apartment cleaning, vacation rental cleaning, post construction cleaning, green cleaning and spring cleaning. Their home cleaning services include wall-to-wall, floor-to-ceiling cleaning and disinfection. Maid Right prides itself for having cleaning pros that aren’t employees – they are owner-operators. 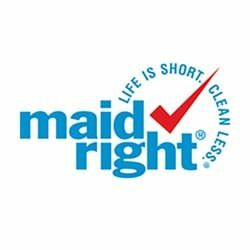 Maid Right was founded in 2013 and started franchising the same year. If you want to become a franchisee, you’ll need an initial upfront investment of $218,000 to $396,000. The initial contract agreement length is 15 years. There are ongoing fees that include a 6% royalty fee and 2% advertising fee. Cleaning franchise services are relatively inexpensive franchises that you may be able to run from home. This is the type of business that won’t take up much of your time because aside from Maid Right, the actual cleaning are typically done by your hired contractors. Your job is to focus more on managing your business, like picking the right janitorial insurance, hiring the right team members, and making sure your clients will be brand embassadors. 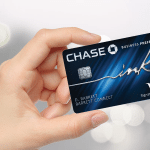 Do you need financing to purchase a franchise? Consider a Rollover for Business Startup (ROBS), which allows you to use your retirement funds to start a business without paying early withdrawal penalties or taxes. If you have at least $50,000 in a qualified retirement account, you can talk to a ROBS expert at Guidant for more details. Maid Simple would be a good start for a first-time buyer, it is relatively inexpensive, and I have heard a lot of good reviews about them. Is it a UK franchise? Great list of cleaning franchise. This is actually some great help for the people who are seeking for information regarding cleaning services. Thanks a lot for sharing this wonderful post full of informative content. Great info here and very needed. I enjoyed reading this article about. I have looking for this types of post some times. It will help to cleaning our office and home. Thanks again for sharing your informative idea. Great site and a good read. We retail and service vacuum products to many Cleaning Businesses. We have a ton of Commercial grade systems for small or large business. We stand behind our products and we pride and we treat people the way we would like to be treated. Let us know if we can help you guys out. Generally speaking, a cleaning franchise will not come with customers, but will come with an exclusive market. In other words, each franchise gets a regional area to operate in, so you’re not in competition with other franchises.